There was over whelming interest from the mapping event held at Muteesa 1 Royal University (Kakeeka Campus). The participants included a combination of students in their 1st, 2nd and 3rd years of study, who actively mapped some features like Buildings, Roads, and other social facilities within and outside the University that never existed on OpenStreetMap. 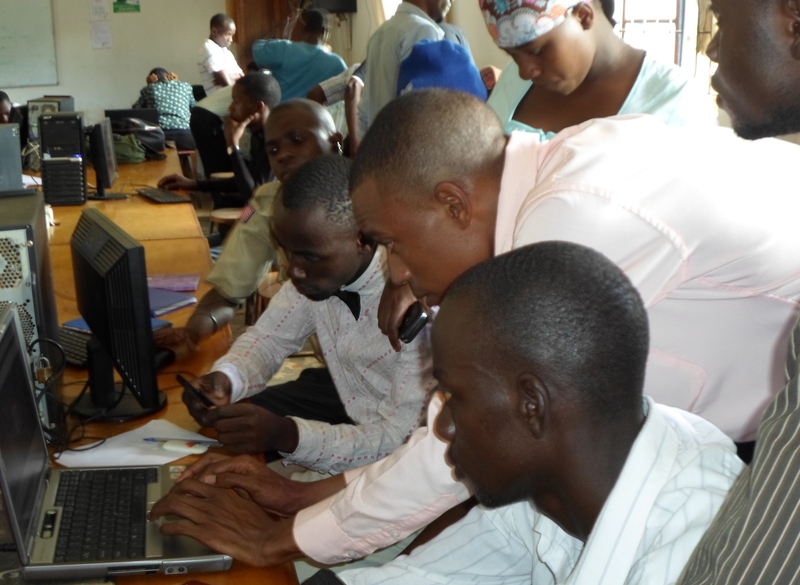 This was after a demonstration on how to use some of the OSM data collection tools, and the digitisation process. The day was made even more lively with a session on wikipedia editing, and an activation exercise by the Wiki Uganda Representative who summarised some of the activities in a similar blog post. Some members of staff including the Head of department were available to give a note of thanks, and closing remarks at end the day, where they welcomed both sessions: Mapping, and Wikipedia to other campuses for the University outside Kampala. Other pictures from the event can also be accessed on the mapping day Uganda face book page.